I am a quirky traveller. If you are like me, you will wait for the throng of tourists to take the right turn towards that world famous monument so that you can take the dirt track on the left, towards the little known, rarely visited remnants of a hanging bridge. Or an artists’ village. Or whatever is remote and not adorned with neon lights. I like to be away from madding crowds and buildings with glass facades. With the same fervor, I am crazy about secluded rocky beaches, moss covered forest tracks and dilapidated structures of bygone eras. I like to savour my food without any reservations, sitting on wooden benches or propped up against a wall, at road side stalls and hole-in-the wall eateries. 1. Explore the mystical Maliau Basin: Maliau Basin conversation area, located in Sabah, is one of Malaysia's finest remaining wilderness areas. Its secrets lie within thick, pristine forests and a virtually self-contained ecosystem, bounded on all sides by forbiddingly steep slopes. Its exit points through the Maliau river are guarded by formidable waterfalls, one of which is the magnificent 7-tier Maliau Falls. There has been no record of permanent inhabitation in Maliau Basin and most of the area still lies unexplored and undocumented, giving it the epithet of Sabah’s Lost World. Sounds exciting? Sounds exotic to me alright. Look out for: Fossilized marine gastropods from 16-17 million years ago, found in Lake Linumunsut, located in the northern part of Maliau Basin. 2. Enjoy the tropical forests of Taman Negara National Park: Well, not quite a hidden treasure, I agree, but a treasure for sure. 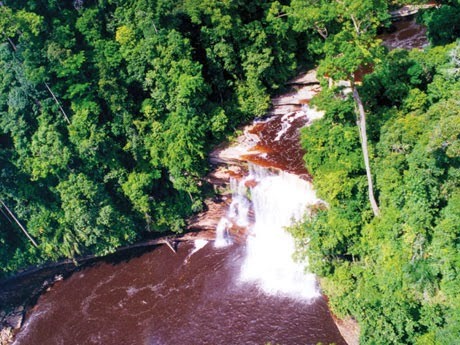 Taman Negara National Park is considered to be the oldest rainforest in the world. It is the perfect place for travellers who love to mix heady adventures with nature walks. Once can race upstream in longtail boats, braving the low level rapids, followed by a refreshing swim amidst the rainforest jungles. 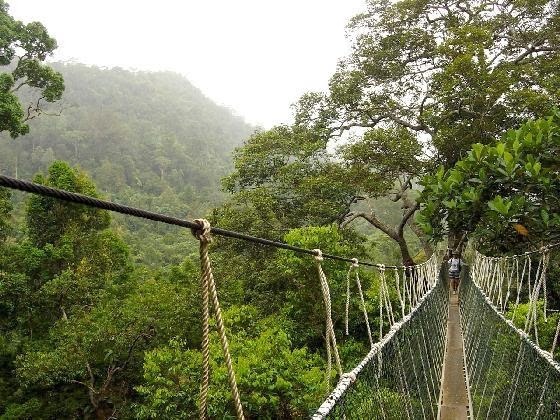 For someone like me who loves to observe wildlife, I would definitely opt for the canopy walk, the longest in the world, as well as trek along jungle paths. Who knows, perhaps I would be lucky enough to spot some of the rare, fabled birds and animals of Malaysia there! Look out for: Angling opportunities! Taman Negara is a fishing paradise as well. 3. Experience authentic cultural life at Sarawak: Located in Malaysian Borneo, Sarawak is a melting pot of 27 ethnic groups, showcasing their varied cultural heritage. Most of these inhabitants live in longhouses and villages in remote areas. One can visit them in their longhouses in places like Skrang River, Lemanak River and Batang Ai. Rest assured, we shall be greeted with open arms by amiable hosts and amply provided with local rice wines. Our evenings will be made memorable with traditional dances and cultural performances. One can even extend the visit by opting to stay with one of the families there for a small fee and observe the daily routine of these simple ethnic tribes, maybe even engage in activities such as fishing, rubber tapping, fruit picking or handicraft-making. Look out for: The food. It is simple and sumptuous and the hosts would be too pleased to share their recipes with you. 4. 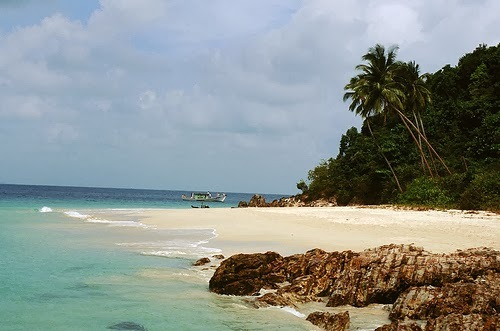 Frolic in the sun and sand in Kapas Island: Touted as one of the best kept secrets of Malaysia till recently, Kapas Island is a beach lover’s paradise. Pristine white sand, swaying palm trees, lush green forest and sea-green water gently lapping at the beach makes this an idyll tropical destination. When not lying around and enjoying the refreshing sea breeze, one can venture out to the sea to see the colorful coral reefs just off the shore. The crystal clear water makes it ideal for snorkeling and scuba diving, so as to admire the abundant marine life in the area. I can easily imagine myself walking along dreamily by the shore, a mocktail in hand and a bunch of sea shells as mementos of Kapas Island. Look out for: Handmade jewelry made from old porcelain that has been salvaged from shipwrecks in the area. 5. 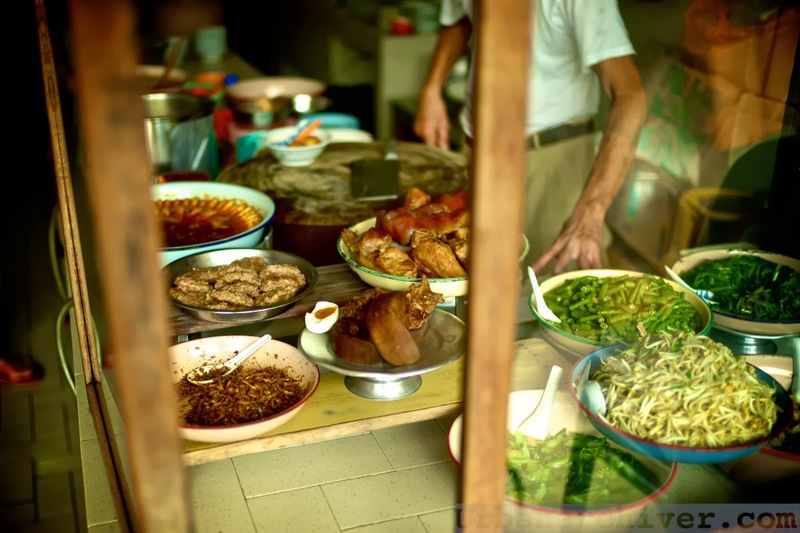 Learn the nuances of Nyonyan cooking in Melaka: For a long time I have been piqued by Malaysian food, a cornucopia of various cultures. Nyonyan cuisine is said to be one of the jewels in the crown. It refers to the food of the Peranakan or Straits Chinese community, who are descendants of Chinese migrants settled in Melaka and married with local Malays. The cuisine is a delightful mixture of Chinese with a sprinkling of Malay herbs and Indian spices. While acar, asam laksa, ayam pongteh and kari kapitan are popular Nyonyan main dishes, bubur cha is the most preferred dessert of the cuisine. My fervent desire is to learn these amazing dishes from the Queen of Nyonyan cuisine herself – Florence Tan, and go home with her grandmother’s recipes, handed down to her through generations. Look out for: The Wednesday Night Market, for an amazing array of local dishes, and far away from the thronging tourists at Jonker Market. So, there you are. You can either choose to follow the usual touristy route of visiting the skyscrapers of Kuala Lumpur and the crowded Batu Caves, et al, or you can take a deep breath and turn left. Towards these hidden treasures of Malaysia. Have a safe trip! PS: I won an all expenses trip to Kuala Lumpur by virtue of this post. Check out my posts on Kuala Lumpur here. Thanks, Nabanita...but it's nowhere close to what everyone else have written.. Thank you, Anita! Best wishes to you, too! Congratulations Sangeeta! Enjoy your trip!